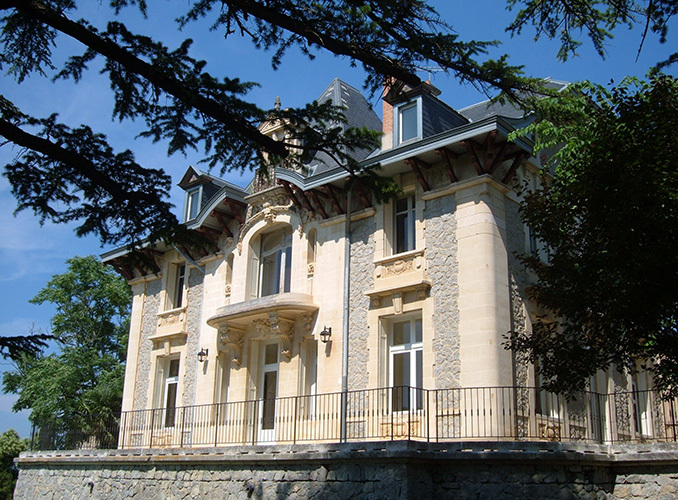 Between 1890 and 1900 the Tisseyre family, owners of the Domaine from 1875, built themselves an attractive residence with a terrace and garden. 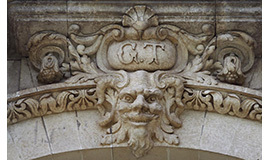 The family initials, GT (for Guyonnet Tisseyre), can still be seen on the house’s façade. The house now contains a number of reception rooms. The nearby outbuildings have been converted into offices used by the staff at Domaine de Baron'arques, as well as a tasting and sales area called the Caveau, open to the public. The vat room at Domaine de Baron'arques contains 27 stainless steel vats and eight concrete vats. They are temperature-controlled and of different sizes so that each parcel of red grape varieties can be vinified separately. As the grapes are sorted above the vat room, they are fed into the vats by gravity, a process which helps to keep the fruit whole. 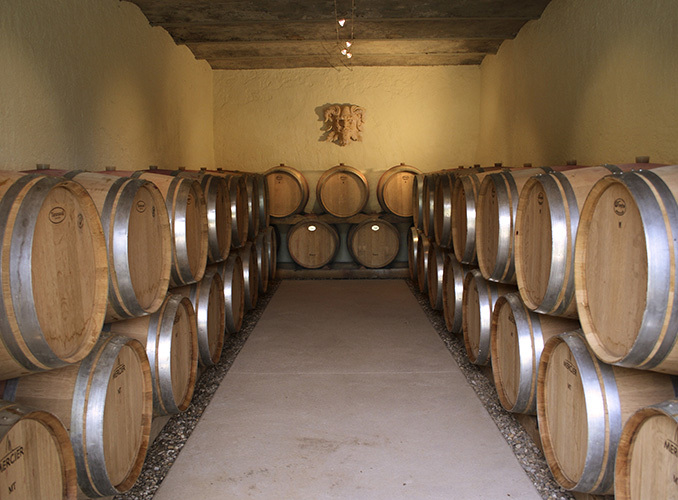 Alcoholic fermentation lasts about eight days at a maximum temperature of 30° C. It is followed by a maceration period of two to four weeks depending on the wines and the grape varieties. 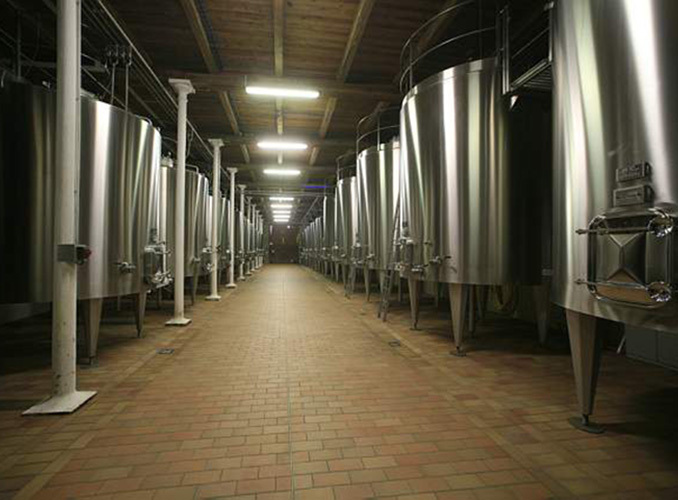 Malolactic fermentation mostly takes place in the vats. The white wine is vinified in oak barrels (50% new, 50% one year old). 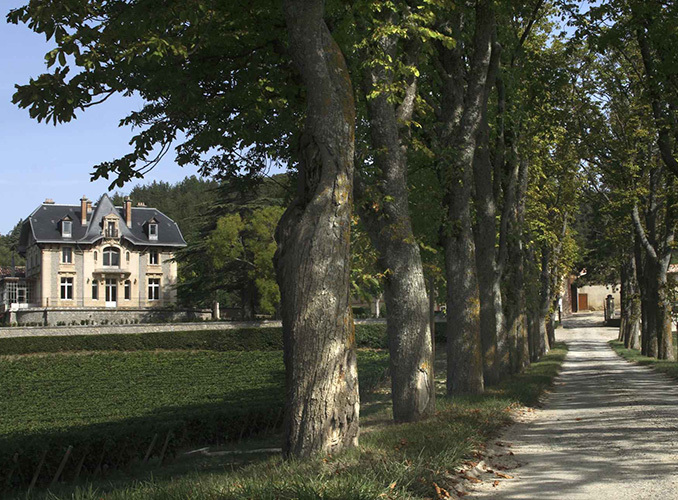 Domaine de Baron'arques has several barrel halls for maturing its two red wines and its white wine. The premium red wine is matured for 12 months in oak barrels, either new (25-50% depending on the vintage) or one to three years old. 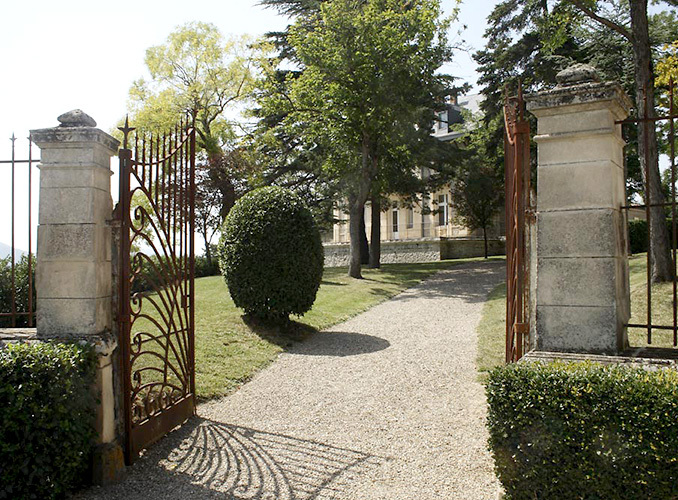 La Capitelle du Domaine de Baron'arques, the Domaine's second wine, is oak-matured for up to six months. 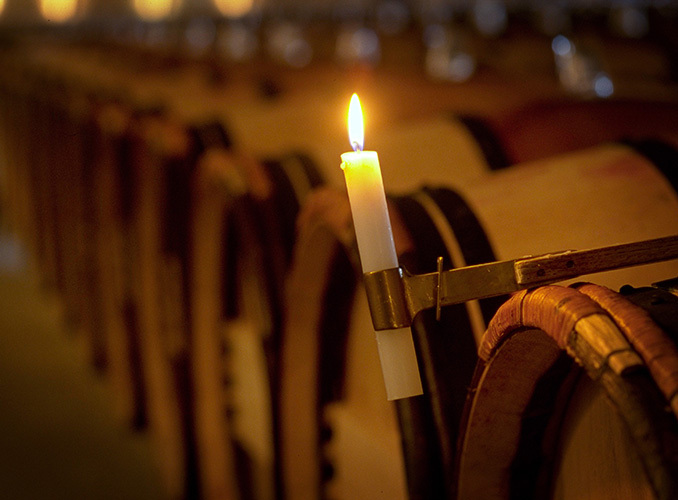 The white wine is vinified and matured in oak barrels (50% new, 50% one year old) for a total of nine months. Three operations take place while the wine is maturing: topping up, racking and fining. 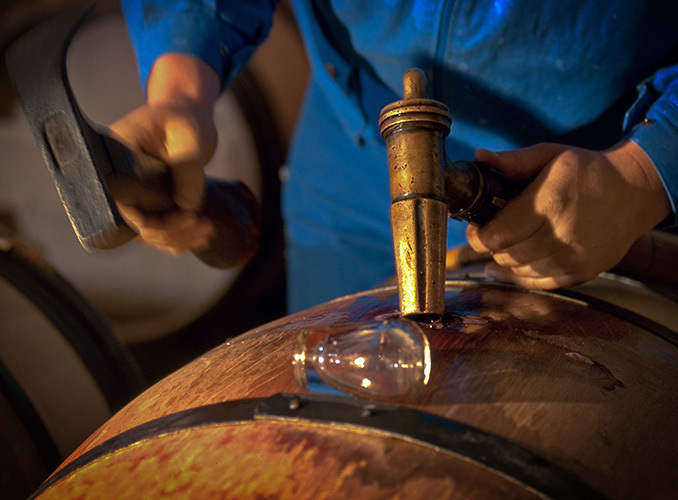 Topping up involves adding wine to a barrel as the level falls as a result of evaporation or the wine impregnating the wood. Racking is an operation to separate the wine from the natural deposit it throws (the lees) by transferring it from one barrel to another. Racking makes the wine clearer and gives it a brilliant sheen. Fining is undertaken before bottling in order to clarify and stabilise the wine by precipitating out any particles in suspension.